Today, however, we had plans to actually do a few things – things we can only do on Saturdays. The first Saturday here, we didn’t know about these options, and last Saturday, Jim was sick. 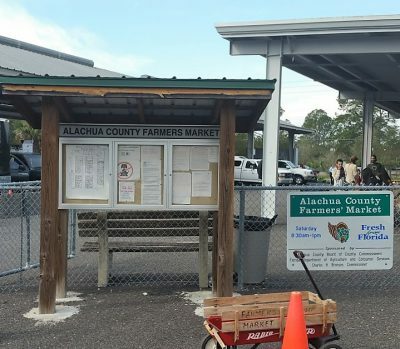 Though, it was threatening rain, we took off to the Alachua County Farmers’ Market in Gainesville, Florida. 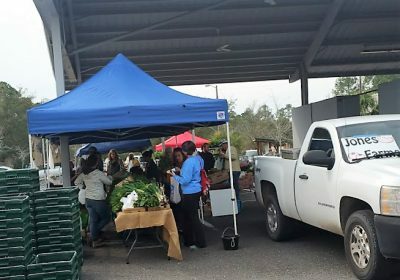 A farmers only market, we knew everything for sale would have been produced on a local farm. 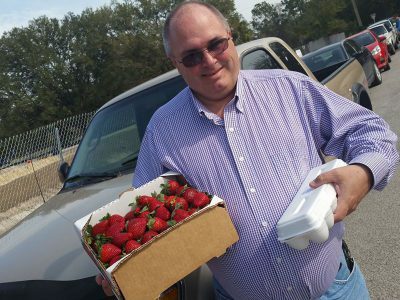 We left with fresh food including “just picked” strawberries and eggs. We also left with a determination to return again next Saturday. 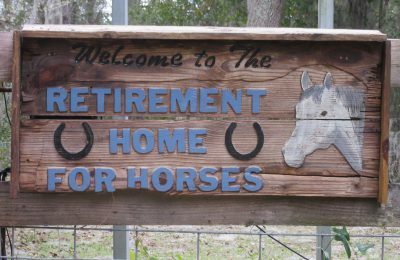 We provide lifetime care to elderly horses seized by law enforcement agencies, rescued by the SPCA or humane societies, as well as horses retired from government service such as police patrol or state and federal parks. The farm is open to the public from 11:00 a.m. to 3:00 p.m. each Saturday. 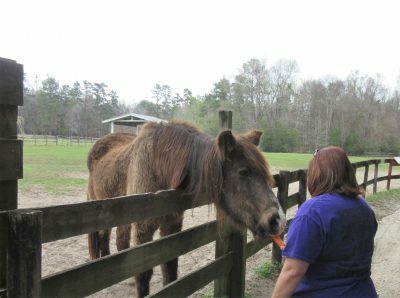 Admission is “two carrots.” Donations are encouraged, and items are available for purchase to support the care of the horses. We went with a 1 pound bag, and if I knew what I know now, I would have gone with several pounds of carrots. It was so rewarding to see how much joy the horses receive out of being fed the carrots. This is a popular attraction, and it was rewarding to experience the good being done and the loving care these horses receive. If you are within an hour or so of the western edge of Gainesville, Florida, I highly recommend both of these locations for a Saturday outing, especially if you have children. Watching little kids connecting with these horses today were almost as good as seeing the beauty of the large farm providing a wonderful retirement home for horses. The pictures below say more about our day than our words can. As always, click on a picture (or hover your cursor over the picture) to read the caption. If you can’t go, perhaps you will consider making a donation; go to the web site (link above) to find out how to do so. This is a family activity that teaches love of animals. Many folks spread out over the farm to share love & carrots. 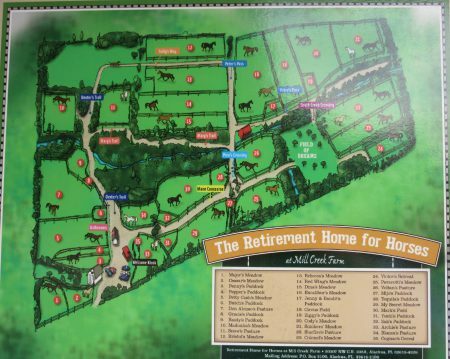 At least two pasture areas has groups of blind horses. Horses (and mules) are in groups based on their needs. The farm is spacious with many fenced-in pastures. The horses and mules take all offers of carrots. Though large, these older horses love children feeding them. Our timing was right. As we made our way home, ready to have some of the fresh strawberries we’d purchased, the rain began to fall. Ten days from today, we move on to our next spot (visible on our Maps page), so we have several explorations and activities we hope to do before then and we also have some home chores to complete.